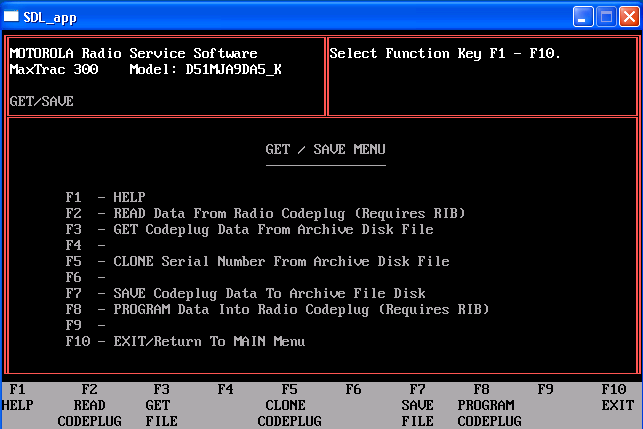 One way to program a Motorola MAXTRAC is to use a older slower computer with a serialport on it. Another way is to use DOSBox to emulate a computer running DOS, it is also possible to emmulate a slow computer. I did this from a PIII Laptop @ 1Ghz running Windows XP, but other operating systems are also possible to use, but in some cases these instructions needs to be modified. And NO, I will not give you a copy of the RSS so don’t bother asking for it. 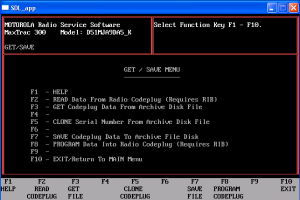 "C:\Program Files\DOSBox-0.72\dosbox.exe" -conf "C:\Program Files\DOSBox-0.72\dosbox.conf" "C:\Radio\Motorola\MaxTrac\MAXTRAC.exe"
It is possible to get DOSBox to autmatiacally mount a directory from the config file. mount d "C:\Documents and Settings\f15ijp\My Documents\Dropbox\Radio\ProgrammingFiles\"
In order to allow DOSBox to use the serial ports of the computer you need to change the settings. #              Can be disabled, dummy, modem, nullmodem, directserial. #              for directserial: realport (required), rxdelay (optional).